In August 1998 Anneli became the first female DJ touring Sweden, when she found that she could combine her passion for electronic music with work and began playing Acid-Techno at nightclubs in Sweden. Already in 1994 she discovered the electronic dance music in an underground Goatrance-party! 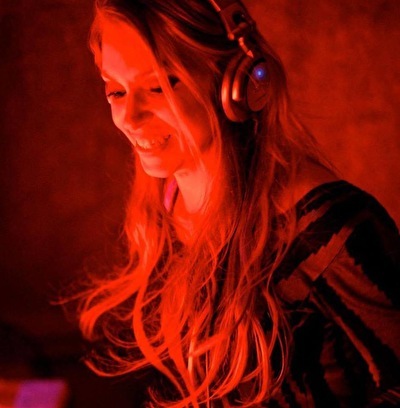 Now she plays Minimal Tech/Prog/Electro-House around 128 bpm or 140 bpm Psychedelic Trance, the style depends on the organizer's demands and of course on the people on the dancefloor. She believes that there is good music in every genre, it just takes time to find. She is always looking for tracks 'that which is not played by others' combined with 'that which is different from the rest' using 'breaks that will surprise time and time again'. This open-minded and inovative thinking is one of her strengths as a DJ. She is a real teaser in the sense of styles and structures and her sets can go everywhere. Focusing at the most important part of the DJ's job to please the dancefloor - to COMMUNICATE with the crowd - achieve an understanding of what they want to hear without exchanging a single word! More than ten years later, this passion has made her one of the most well-known and requested female DJ's in Sweden, taken her around the globe playing at more than 800 gigs, in over 25 countries spread across 5 continents!! In August 2006 Anneli joined the legendary psytrance label PHANTASM RECORDS and in May 2009 they released Anneli's own compilation - '10 Years of Communication' - to celebrate her 10th anniversary as a DJ! It included 'My Time' a track Anneli co-produced with Takashi and Isao (aka Indigo) in their studio in Japan!!! She is sponsored by STANTON since 2007 and 2010 she became a member of the fast growing psytrance label NUTEK RECORDS with releases from Painkiller, A-Team, Mekkanikka, C.P.U. and more. 2010 she began working on a TECHNO/HOUSE PROJECT together with Alex Lazarevic (aka BPM). Prepare your ears for the attack of sounds from EarTillery! The 12th December 2012 the compilation series of DESTINATION GOA released it's last edition ever: Destination Goa vol.12 - The Last Chapter. Anneli got the honor to compile and mix one of the two cd's, the other was mixed by the founder of the series, DJ Phoenix! u ripped the lucia cruise!!! best dj on the boat by far!!! Absoluut nu al 1 van mijn grootste Goa voorbeelden - Allemachtig wat kan deze mooie vrouw goed knalluh !!! Mijn grootste HELDIN in de Goa Scene ! !